Store items on this two level turntable, making them easily accessible with a spin. It features a nonslip lining and rubber feet to keep things in place, a wide base to provide stability and soft-grip lip to improve spinning. 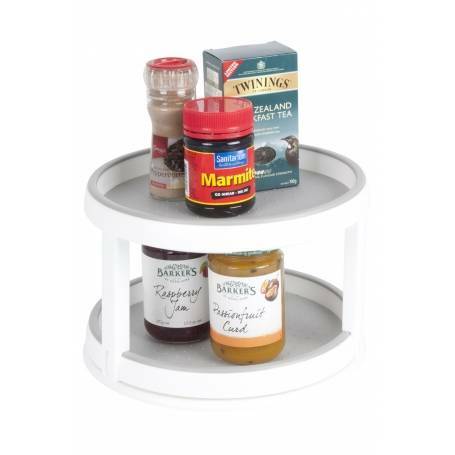 Great for storing herbs & spices, small bottles - you will be amazed how much room it creates!